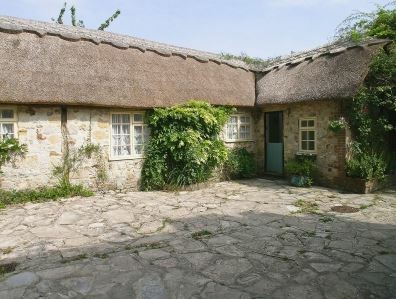 Dorset’s spectacular coastline is a favourite location for film-makers and it’s beautiful countryside makes it the perfect setting for an Cottage Holiday. 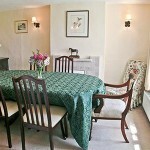 Dorset caters for every taste from fun-filled, high-energy activities or simply relaxation and its quieter pleasures. 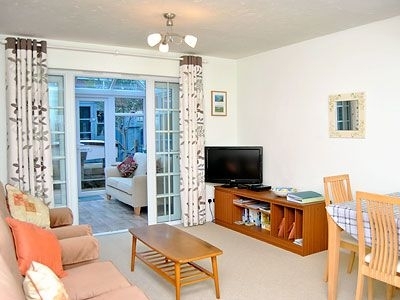 A Cottage Holiday near the coast is never far from an award winning, Blue Flag beach with traditional seafront amusements and entertainments for all ages. 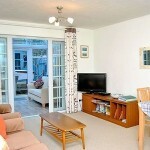 You can even try out some exciting water sports – you’ll find kite and windsurfing in Weymouth Bay and Poole Harbour. 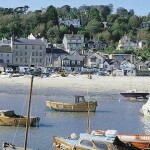 The ‘Jurassic Coast’ is a World Heritage site famous for dinosaur fossils and footprints, and the many coastal paths provide great walking with stunning views at almost every turn. 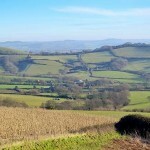 Inland the County offers a huge variety of attractions, from thrilling theme park rides to Monkey World and the giant outline of a man cut into the hillside at Cerne Abbas. 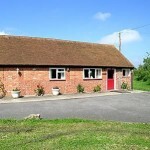 Bovington Tank Museum and the sub-tropical Gardens and Swannery at Abbotsbury are also very popular with holidaymakers of all ages. There’s wonderful touring through the lovely, rolling landscape of Thomas Hardy Country and you can enjoy sampling some of Dorset’s locally grown produce and freshly caught seafood at numerous country pubs and restaurants. 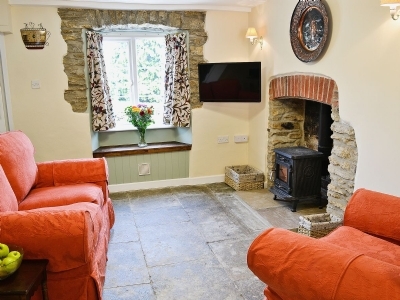 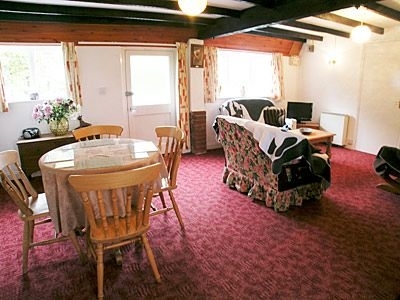 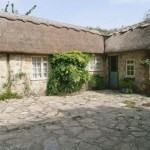 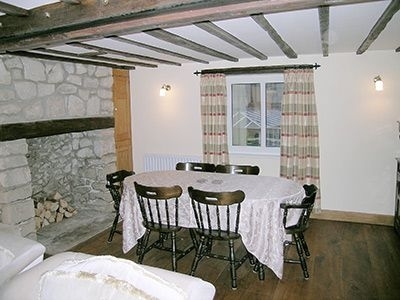 This Dorset Thatched Holiday Cottage near Dorchester Nestles in the pretty village of Litton Cheney, set back from the beautiful Dorset coastline, this adjoining, 17th-century, thatched holiday cottage is tastefully decorated and has a real cottage feel to it. 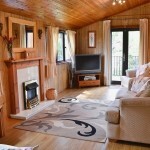 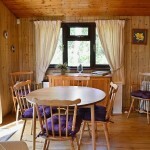 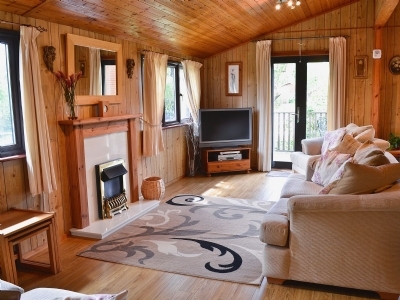 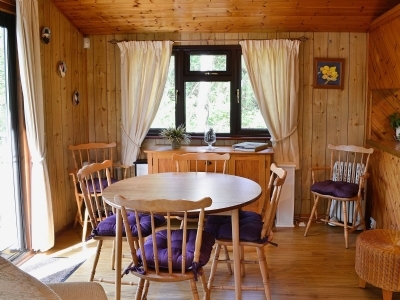 This lovely detached Dorset Holiday Log Cabin is set in a quiet spot in a popular Dorchester Leisure Resort. 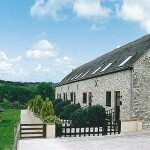 The site is set in over 40 acres of woodland and offers many facilities that can be enjoyed, including use of an indoor swimming pool, golf facilities, a sports complex, roller skating and a games room before 6pm. Situated in the village of Longburton this Holiday Cottage near to Sherborne, Dorset is just 3 miles south of the quaint abbey town of Sherborne, this terraced holiday cottage is situated on the main road, which gives easy access to Sherborne and Dorchester. 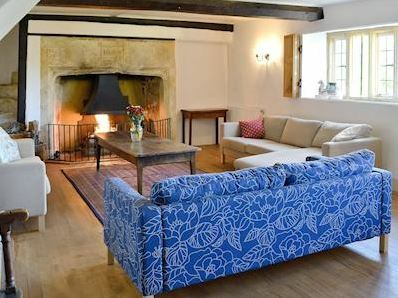 This lovely detached Country Holiday Cottage is situated just north of West Bay and Bridport, Dorset where the TV drama ’Broadchurch’ was filmed, and only five miles from the famous World Heritage Jurassic Coast with its superb scenery. 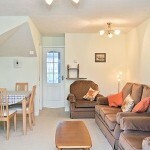 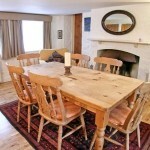 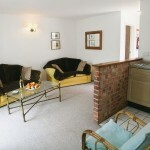 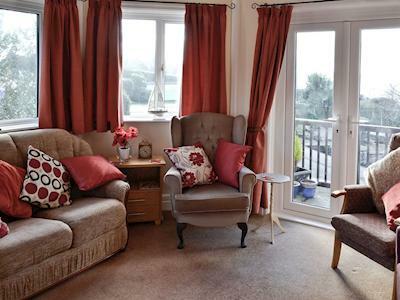 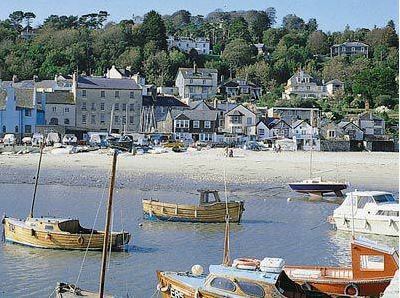 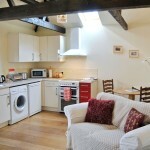 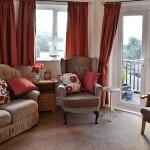 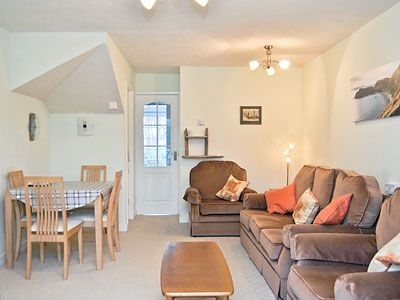 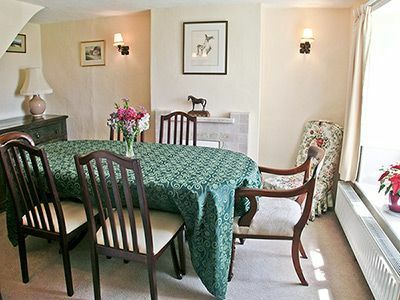 These Lovely Holiday Cottages are just a mile or so from the beach and picturesque harbour at Lyme Regis. 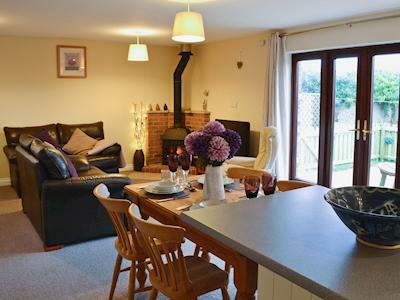 This attractive cluster of individually owned holiday cottages enjoys a peaceful setting in an area of exceptional natural beauty. Skilfully converted from a range of lovely old stone barns, they are surrounded by acres of pastures with abundant wildlife, including deer and badgers. 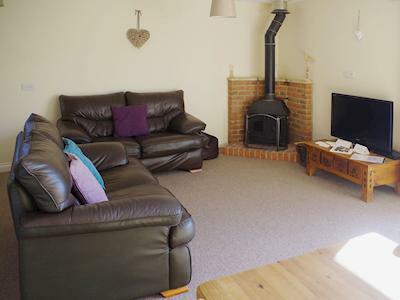 Perfect for large Groups this beautiful detached County Holiday Cottage enjoys panoramic views in picturesque location in beautiful West Dorset, just north of Chideock, 3 miles from the stunning World Heritage Jurassic Coast and 4 miles from Bridport. 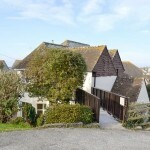 Offering a lovely Holiday Cottage with Sea Views in Weymouth Dorset just 200 yards from the seafront at Weymouth, with wonderful views over the bay and onto Portland, this first floor holiday apartment for 6 with a compact garden, reached by a small footbridge, offers a great location for a family holiday. 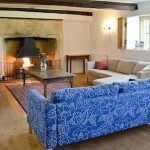 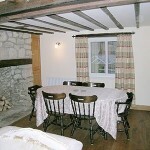 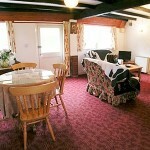 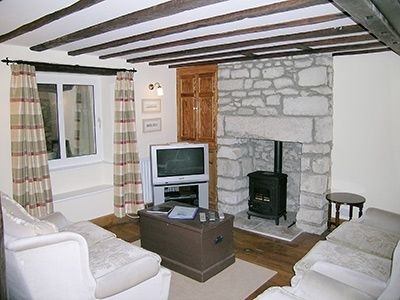 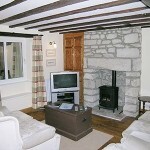 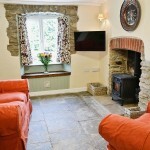 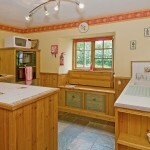 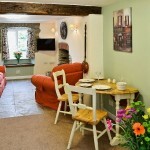 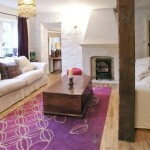 These Country Holiday Cottages are situated in a courtyard of similar properties in East Orchard, nr. Shaftesbury. 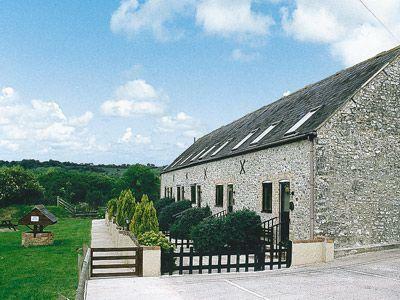 TARRANT COTTAGES are adjacent to the owners home and 8 acres of land, in the heart of the Blackdown Vale, an AONB, where the countryside is alive with deer, buzzards and pheasants, and just 4 miles south of Shaftesbury, where the famous Gold Hill is located. 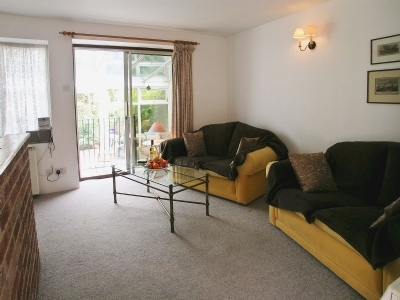 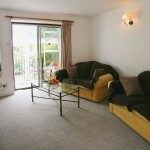 Nearby there is golf, gymnasium, fishing, 1 mile, and cycle paths and walking. 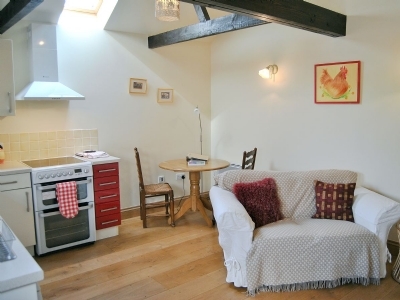 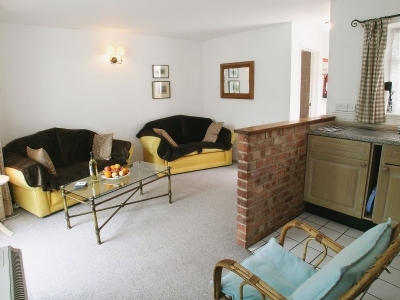 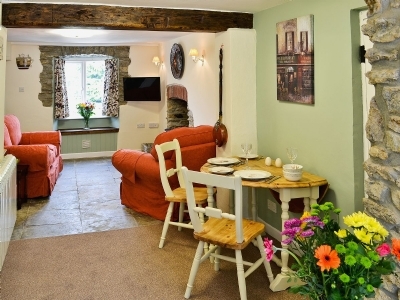 This Self Catering Cottage is situated in the village of Longburton, 3 miles south of the quaint abbey town of Sherborne, Dorset. 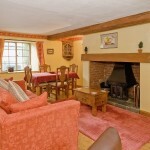 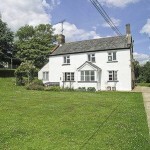 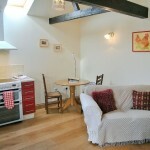 This terraced holiday cottage is situated on the main road, which gives easy access to Sherborne and Dorchester. 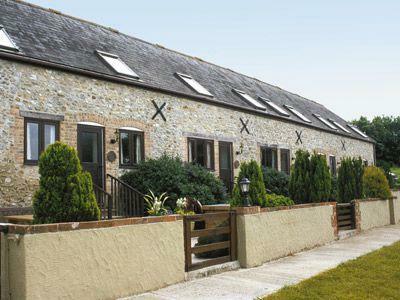 These Coastal Holiday Cottages are Located in a charming and secluded environment on the Jurassic and Heritage coastline near Weymouth, Dorset. 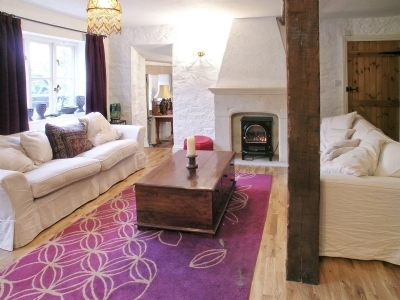 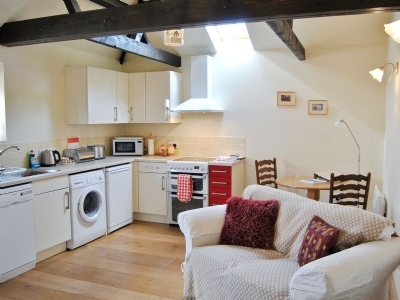 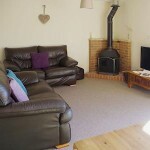 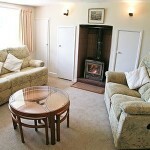 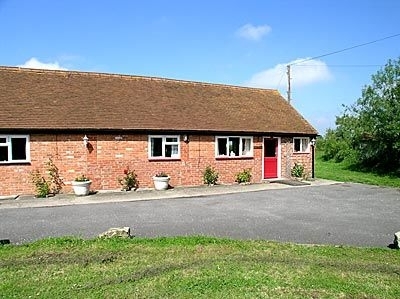 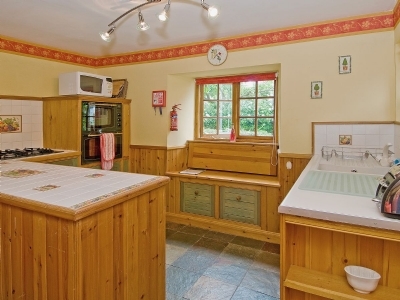 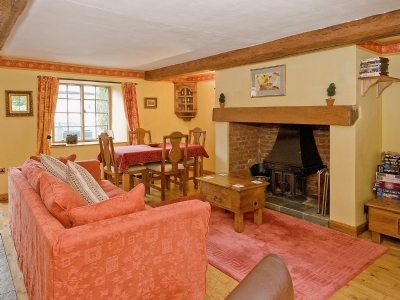 Converted to a high specification and are well-equipped with lovely wood burners. 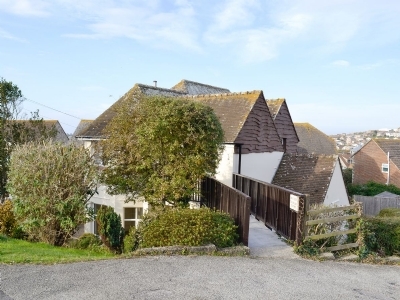 This terraced holiday Cottage enjoys stunning Sea Views and sits in a quiet area between Weymouth and Portland overlooking Portland harbour with sea views. 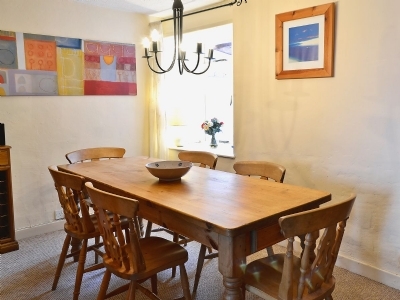 The South West Coastal Path is 220 yards away and offers views across the harbour and along famous Chesil Beach. 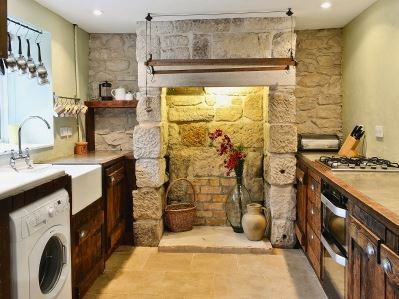 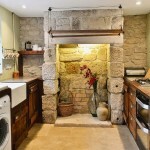 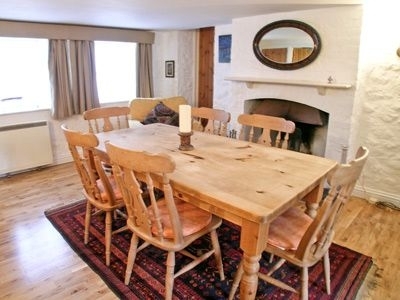 This characterful, Grade II listed self catering cottage is set in the heart of Portland, Dorset under a mile from the beach at Church Ope Cove. 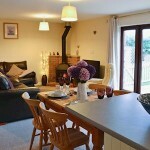 It has easy access to the coastal paths with a lighthouse and RSPB observatory. 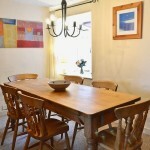 Self Catering for up to 6 people and Pet Friendly Pebbles Cottage is close to the seafront at Chiswell, Weymouth near the southern end of the famous Chesil Beach, this charming refurbished, 200 year old holiday cottage retains period features, offering stylish and comfortable accommodation. 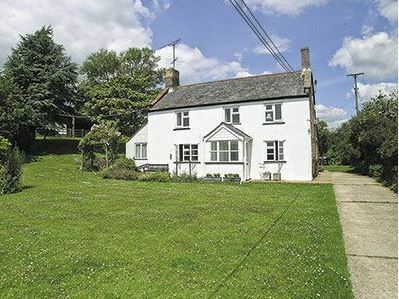 Part of a working Farm this Lovely Holiday Cottage is situated approximately 5 miles from Wimborne, in an Area of Outstanding Natural Beauty on the edge of the hamlet of Uppington. 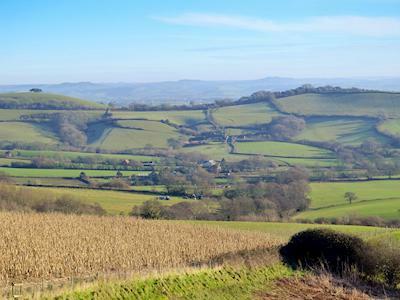 On a clear day there are views across West Dorset and the Isle of Wight! 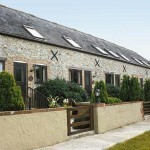 Adjoining one another, these holiday homes were formerly the old dairy and provide comfortable accommodation. 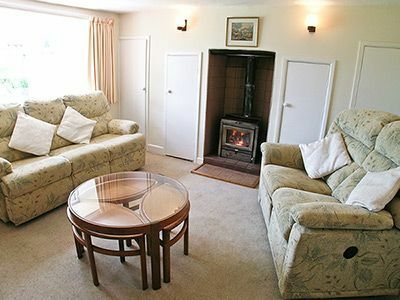 These Holiday Cottages near Bridport, Dorset nestle in the peaceful village of Symondsbury, only 2 miles from the famous World Heritage Jurassic Coast, these two barn conversions, each for 4 people, are perfectly placed to explore this stunning coastline, from picturesque Lyme Regis to the bustling seaside resort of Weymouth.